This is the start of a new weekly feature aimed at summarising my week’s writing and a more digestible format than the round-ups of before. I hope that this well make navigating the past week’s content easier for you guys, and it’ll definitely make it easier for me to quantify everything I’ve accomplished. Atalanta week was very productive. Doing that extra research certainly paid-off, and I feel like I’ve dug-up a lot of quality stuff. From now on I’ll be providing a full list of sources with each piece that required research to produce. It’s something that I should’ve been doing since day one, and it’ll provide a good source of further reading. Anyway, here’s this week’s summary. See you tomorrow for a quick brief on the following week’s focus club. Atalanta: Perennial Midtablers or Yo-Yo Club? : A look at Atalanta’s league finishes since 1929 to build an idea of their place in calcio. The Boys from Bergamo: From 1907 to 2011, a look at all the major events that’ve shaped Atalanta into the club they are today. 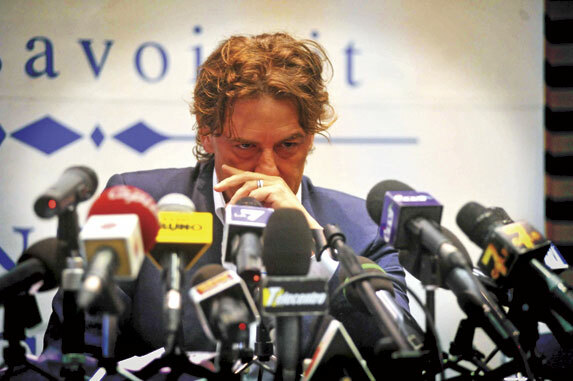 Notes on a Scandal: This season’s Calcioscommesse match-fixing scandal and Atalanta’s involvement. Paolo Bandini on Germán Denis, Atalanta’s Resurgent Hitman: A link to Paolo Bandini’s excellent piece on the Argentine striker. 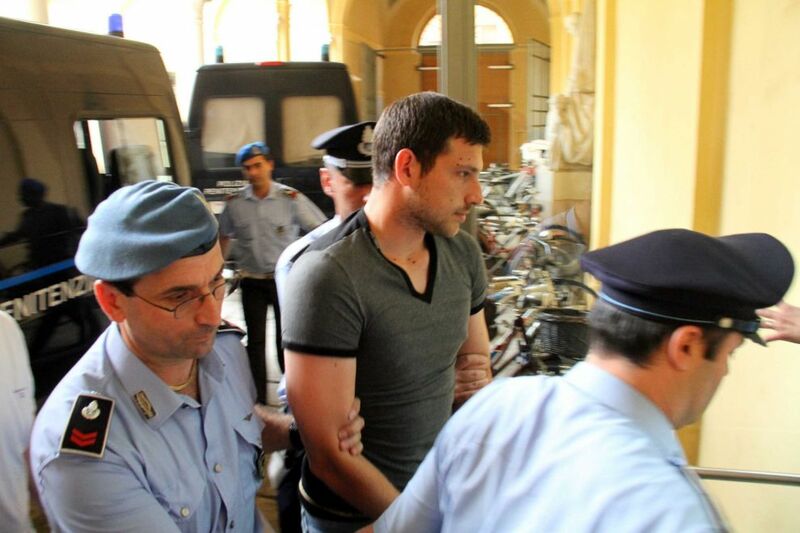 The Fall of Cristiano Doni: Doni, his career, and how he became a Bergamo demigod. (Serie A Weekly) Brave Cesena Finally Win: The latest edition of my regular column for Serie A Weekly, focusing on Cesena after last week’s win over Bologna. No full pieces today, but there’s a link to an excellent appraisal of one of Atalanta’s stars of the season so far, Germán Denis, from The Score’s Paolo Bandini. Denis has been dossing around Serie A without really making an impact since 2008, but he’s hit a rich vein of form for La Dea and has already notched 9 goals in 11 appearances. The powerful striker struggled to make the grade at Napoli and Udinese, but he’s thriving in coach Stefano Colantuono’s system and is playing the best football of his calcio career. Atalanta Bergamasca Calcio, based in the northern city of Bergamo, were founded in 1907 and officially recognised by the FIGC (Italian Football Federation) seven years later. They are nicknamed La Dea (“The Goddess”) or the Nerazzurri (“black-blues,” relating to their colours), and are often called the “Regina delle provinciali” (“Queen of the provincial clubs”) as they’ve historically been one of Italy’s most successful non-metropolitan sides. Atalanta currently back in Serie A after winning last season’s Serie B championship. They’ve made a great start to the season, having only lost twice in their opening 11 fixtures, and would currently be 5th if they hadn’t started the season on -6 points. Embroiled in a betting scandal last season, La Dea have rallied through adversity and are in good stead for a midtable finish. As documented yesterday, Atalanta have been in and out of Serie A more times than most teams. In recent times they’ve struggled to hold down a top-tier place for any longer than a couple of seasons at a time. European forays and a 1963 Coppa Italia win make Atalanta more famous than most of their provincial counterparts, and they’ve only played a single season outside of Italian football’s top two tiers since Serie A’s 1929 inception. A football club existed in Bergamo three years prior to Atalanta B.C.’s birth. F.C. Bergamo were founded by wealthy Swiss immigrants in 1904. Atalanta emerged as a splinter of FC Bergamo after a difference in sporting ideologies between members, and, while the Nereazzurri have prospered, Bergamo faded into obscurity. Named after a mythological Greek athlete and huntress, Atalanta merged with another local club, Bergamasca, to create the club of today. Originally competing in Bergamo’s local league, Atalanta progressed to the larger Lombardy league system and won the First Division championship to secure participation in the 1928-29 national championship. Poor performances that season meant Atalanta were placed in Serie B’s inaugural 1929-30 season. It took seven seasons before they achieved Serie A promotion, but coach Ottavio Barbieri, a former Genoa winger, achieved that feat in 1937. La Dea have floated between Serie A & Serie B ever since, with their longest period of top tier competition spanning 15 years from starting in 1940-1955. Several club legends emerged during this period, including Giuseppe Casari and James Mari, the first Atalanta players to ever represent the Italian national team (despite the latter’s Brentford upbringing). Another Englishman, Adrian Bassett, spearheaded La Dea’s frontline during the later years of this period, scoring 57 times in 125 appearances. 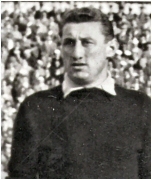 Giuseppe Casari made over 170 appearances for Atalanta in the forties. Atalanta made their competitive European debut in 1963, when, on September 4th, they defeated Sporting Lisbon 2-0 in the Cup Winners’ Cup. They’d also compete in other now-defunct competitions like the Coppa delle Alpi in the early years but achieved no notable success. The 1970’s were barren for Atalanta but the ‘80’s proved much more productive. Relegated to Serie C1 for the first time in history, La Dea galvanised and were back in Serie A just three years later. They reached their second Coppa Italia final in 1987 (having won the competition in 1963), but suffered a 4-0 aggregate loss to a Diego Maradona-inspired Napoli. The following season, 1987-88, is considered the club’s most successful. The Emiliano Mondonico-managed side achieved promotion with a 4th-place Serie B finish, but the real fun came in the Cup Winners’ Cup. Atalanta battled to the semi-finals, their greatest ever European accomplishment, beating Sporting Lisbon, Ofi Crete and Merthyr Tydfil along the way. La Dea suffered a 4-2 aggregate loss to Belgian side Mechelen, but reaching the semi-finals was a huge achievement for such a second tier side. Atalanta qualified for the 1989-90 and 90-91 UEFA Cups thanks to consecutive top seven Serie A finishes. Eliminated at the first hurdle by Spartak Moscow in 1990, La Dea were considerably more successful the following season. Having already eliminated Dinamo Zagreb, Fenerbahce and FC Koln, Atalanta met Italy’s other Nerazzurri, Internazionale, in the quarter-finals. Holding Inter to a goalless draw in the first leg, Atalanta were defeated 2-0in the return fixture at the Giuseppe Meazza. No further European escapades followed, but Atalanta reached a third Coppa Italia final in 1996 (they were unsuccessful, losing 3-0 to Fiorentina on aggregate). 1996-97 saw the emergence of future poaching legend Pippo Inzaghi, whose 24 goals made him Atalanta’s first-ever Serie A top scorer. Inzaghi highlighted the growing efficiency of Atalanta’s youth academy, which was headed by current Azzurri coach Cesare Prandelli from 1990-93 and 94-97. The following seasons were devoid of interesting events, barring the standard relegation and promotion here and there. Attacking midfielder Cristiano Doni became a talismanic figure during two lengthy spells with Atalanta, and the 38-year old would still be strutting his stuff for the Nerazzurri today if it weren’t for a 3½-year ban for his involvement in the 2011 betting scandal. La Dea have a rich history for a provincial side. They were promoted with games to spare last term and are in a good position to survive relegation this season. History suggests that their latest Serie A stay won’t be long, but Atalanta are Coppa Italia winners and their European history is hugely impressive for a club of their stature. The Nerazzurri have plenty to be proud of. Atalanta: Perennial Midtablers or Yo-Yo Club? Atalanta players celebrate the 4-1 hammering of Portogruaro that saw them promoted last season. I thought I’d start this week off with a look at Atalanta’s final league positions since the start of the Serie A era (1929). I’ve always viewed them as a yo-yo club as they’re always hovering around Serie A’s lower reaches or Serie B’s upper end whenever I check on them. I want to discover how long this has gone on for, and if they’ve ever had a long period in the top flight or a grim stretch in the lower leagues. 1929-30: 8th in Serie B. 1930-31: 6th in Serie B. 1931-32: 4th in Serie B. 1932-33: 16th in Serie B. 1933-34: 5th in Serie B, Group B. 1934-35: 7th in Serie B, Group B. 1935-36: 10th in Serie B.
Atalanta were placed in Serie B, Italy’s (then) newly-reconstructed second tier, after being relegated from the Italian Football Championship’s National Division in 1928-29. Thus follows a solid spell in Serie B with the Nerazzurri only coming close to promotion in 1931-32. The competition was split into smaller, regional groups between 1933 and ’35 with Atalanta failing to make the top three (and therefore qualify for the final round) on both occasions. The split actually saved Atalanta from relegation to the third tier, as they’d finished 16th in an 18-team league in 1933. 1936-37: 2nd in Serie B (promoted). 1937-38: 15th in Serie A (relegated). 1938-39: 3rd in Serie B. 1939-40: 1st in Serie B (promoted). Two promotions in four years, split by a relegation and a credible third-place Serie B finish, mark the start of Atalanta’s first yo-yo period. The Nerazzurri were relegated from a 16-team Serie A in 1938 and only missed-out on an immediate return as their goal difference was one worse than Venezia’s. Both teams had finished on 43 points, with champions Fiorentina on 45. 1940-41: 6th in Serie A. 1941-42: 13th in Serie A. 1942-43: 10th in Serie A. 1943-44: League suspended during World War II. 1944-45: League suspended during World War II. 1945-46: No Serie A competition. 1946-47: 9th in Serie A. 1947-48: 5th in Serie A. 1948-49: 16th in Serie A. 1949-50: 8th in Serie A. 1950-51: 12th in Serie A. 1951-52: 12th in Serie A. 1952-53: 9th in Serie A. 1953-54: 10th in Serie A. 1954-55: 13th in Serie A. 1955-56: 15th in Serie A. 1956-57: 15th in Serie A. 1957-58: 17th in Serie A (relegated). 15 consecutive seasons in the top flight ended with relegation in 1958. This remains Atalanta’s longest ever Serie A run, and their 5th-place finished in 1947-48 is the highest they’ve ever finished on the Italian football league ladder. The Nerazzurri finished strongly in 1941 but only avoided relegation by a single point the following season. Serie A was suspended for three years during Italy’s involvement in the Second World War and didn’t resume again until 1946. A steady series of midtable finishes followed 1948’s 5th-place. They slowly slumped towards relegation when Serie A was an 18-team competition in the fifties. Two years of close shaves preceded Atalanta’s eventual relegation in 1958: the Nerazzurri finished second-bottom in an incredibly tight league (just 10 points separated 5th and 17th, with five teams (12th to 16th) finishing on 30 points. 1958-59: 1st in Serie B (promoted). 1959-60: 11th in Serie A. 1960-61: 9th in Serie A. 1961-62: 6th in Serie A. 1962-63: 8th in Serie A (Coppa Italia winners). 1963-64: 11th in Serie A. 1964-65: 11th in Serie A. 1965-66: 14th in Serie A. 1966-67: 11th in Serie A. 1967-68: 13th in Serie A. 1968-69: 16th in Serie A (relegated). 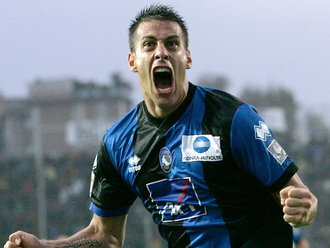 Atalanta returned on the first time of asking and it was business as usual during this 10-year Serie A stay. They finished in positions similar to those of the forties and fifties. They finished rock bottom in 1969, winning a measly four games out of 30. Notably, Atalanta won the Coppa Italia in the 1962-63 season. I won’t say too much about that at the moment as I’ll try to cover it later this week. 1969-70: 15th in Serie B. 1970-71: 2nd in Serie B (promoted). 1971-72: 10th in Serie A. 1972-73: 14th in Serie A (relegated). 1973-74: 11th in Serie B. 1974-75: 6th in Serie B. 1975-76: 10th in Serie B. 1976-77: 2nd in Serie B (promoted). 1977-78: 9th in Serie A. 1978-79: 15th in Serie A (relegated). More up-and-down action split by a four-year run in Serie B. What’s odd is that Atalanta finished 9th in 1978 but still couldn’t avoid relegation the next season, showing they are a yo-yo team in more ways than one. Four promotions & relegations in 10 years: we’re not quite at Lecce level of yo-yo-ness yet, but we’re getting there. 1979-80: 9th in Serie B. 1980-81: 18th in Serie B (relegated). 1981-82: 1st in Serie C1, Group A (promoted). A disastrous 1980-81 saw Atalanta finished second-bottom of Serie B after losing a play-off to Taranto, who were also relegated on 30 points. Atalanta slipped into the third tier for the first time since the Italian league system’s 1929 restructuring. This dark period of the club’s history didn’t last long, however, and Atalanta were back in Serie B for the 1982-83 season. 1982-83: 8th in Serie B. 1983-84: 1st in Serie B (promoted). 1984-85: 10th in Serie A. 1985-86: 8th in Serie A. 1986-87: 15th in Serie A (relegated). 1987-88: 4th in Serie B (promoted). Three league changes in six seasons: can anyone else see a pattern emerging here? Atalanta even managed to get themselves relegated one season after finishing 8th. 1988-89: 6th in Serie A. 1989-90: 7th in Serie A. 1990-91: 10th in Serie A. 1991-92: 11th in Serie A. 1992-93: 8th in Serie A. 1993-94: 17th in Serie A (relegated). Another solid run in Serie A after promotion in 1988. Atalanta performed superbly in their first two seasons back in the back time, and qualified for the UEFA cup on both occasions. Again I don’t want to say too much about these seasons as I think they’d make a good topic to cover later in the week. Just when the Nerazzurri looked like establishing themselves as a decent midtable side… boom, along comes relegation. In a season that saw Inter Milan survive by just a single point, Atalanta were relegated by 10. Boo hiss. 1994-95: 4th in Serie B (promoted). 1995-96: 13th in Serie A. 1996-97: 10th in Serie A. 1997-98: 16th in Serie A (relegated). 1998-99: 6th in Serie B. 1999-00: 4th in Serie B (promoted). 2000-01: 7th in Serie A. 2001-02: 9th in Serie A. 2002-03: 15th in Serie A (relegated). 2003-04: 5th in Serie B (promoted). 2004-05: 20th in Serie A (relegated). 2005-06: 1st in Serie B (promoted). 2006-07: 8th in Serie A. 2007-08: 9th in Serie A. 2008-09: 11th in Serie A. 2009-10: 18th in Serie A (relegated). 2010-11: 1st in Serie A (promoted). This is the most significant of Atalanta’s yo-yo spells, as they were only once able to muster more than three seasons in the same division. The Nerazzurri were like a Pro-Yo between 2002 and ’06, bouncing up-and-down between the top two years for four consecutive seasons. Atalanta returned to Serie A for the current season after winning last year’s Serie B title: they are currently 13th after 11 games, but would be 5th if it weren’t for a six-point penalty. I haven’t sat down and compared Atalanta’s finishes with Lecce’s but, on the surface, they look just as crazy. A yo-yo club in every possible way, but can they stay-up this season? If they continue the excellent start they’ve made, absolutely. Highest finish: 5th in Serie A (1947-48). Lowest finish: 1st in Serie C1, Group A (1981-82). Longest Serie A run: 15 seasons, 1940-58 (minus three years for Serie A’s suspension during WW2). Longest Serie B run: 7 seasons, 1929-36.